The Committee For A Constructive Tomorrow (CFACT or the Committee) appreciates this opportunity to submit comments to the Department of Energy on its “Icebreaker” wind energy project in Lake Erie. With headquarters in Washington, DC, the Committee is a 501(c)(3) national and international environmental and educational organization dedicated to protecting both wildlife and ecological values and the needs and aspirations of people, families and communities. We are deeply concerned about this project, and about additional offshore wind turbine developments that are being planned for Lake Erie and other lake and ocean waters in the United States. 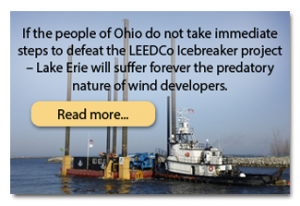 Having reviewed these proposals and the impacts from other wind energy developments in the USA and elsewhere, CFACT is convinced that the Lake Erie project and its successors will adversely affect wildlife and wildlife habitats that we, our members and supporters, our families, and the people we represent hold dear. 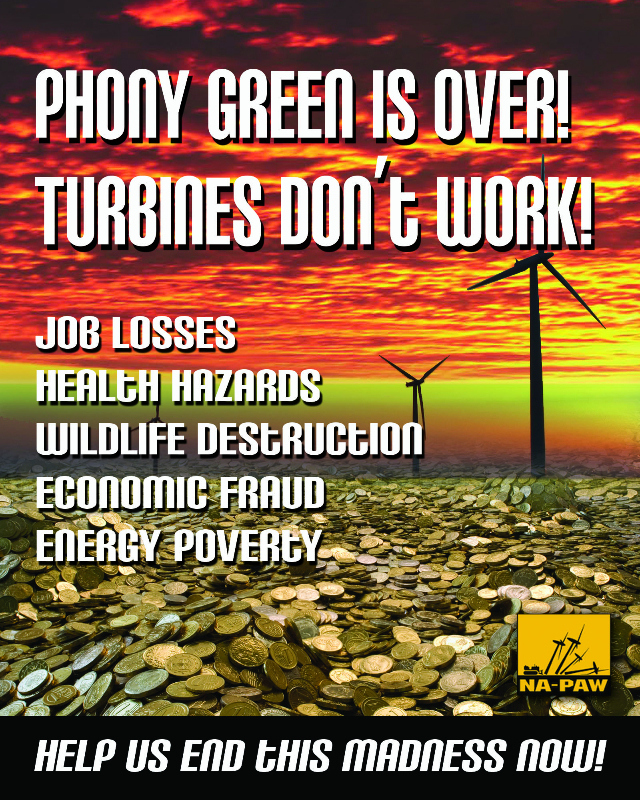 We also conclude that the expensive, subsidized, intermittent, unreliable and uncontrollably variable electricity generated by these turbines will adversely impact the budgets, jobs, living standards, health and welfare of these people and other Americans, especially poor, minority and working class families. 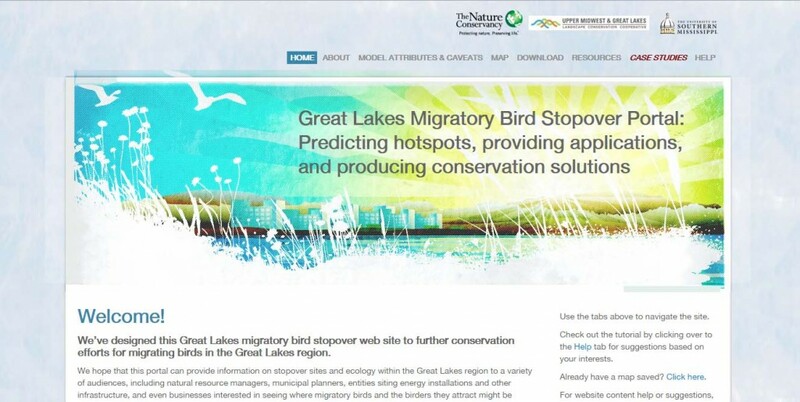 Nothing we have seen thus far persuades us that the Lake Erie Energy Development Company (LEEDCo) has taken, or will be able to take, steps that are necessary to protect the sensitive lake, wetland and onshore environments and wildlife in Lake Erie, especially as the project expands. Those areas include nesting sites, foraging areas, migration routes and other ecological spaces on which numerous bird and bat species depend – including eagles and other raptors, wading birds, geese, swans, ducks, song birds, silver haired and other bats, and other valuable, rare, threatened and endangered species. Indeed, from CFACT’s perspective, the Icebreaker and subsequent wind energy projects present a far more serious threat to the environmental values, health, welfare and pursuit of happiness, justice and civil rights progress of the people we represent – and of all Americans – than do any reasonably foreseeable manmade climate and weather changes that are being used to justify these projects. That eventual power generation is 4,000,000 MW – which would require from 500,000 to 1,250,000 wind turbines generating 3.2 to 8.0 MW of name plate potential power, intermittently, many days of the year. Each turbine will rise up some 420-650 feet above lake and ocean waters, and each of these behemoths’ enormous blades will sweep across some 100,000 square feet (2.5 acres) of air space. Lake Erie Energy Development Company VP of Operations David Karpinski has said the wind consortium’s “vision is 5,000 megawatts over the next 10 to 15 years,” just in Lake Erie. If those turbines generate 3.2 MW each, that would require installing nearly 1,600 wind turbines in the US portions of the lake; even with 8.0 MW turbines, this proposal would require 625 truly enormous turbines. Where the other 3,995,000 megawatts will be generated, no one knows. Eagles, hawks, ospreys, other birds and bats won’t have a chance. These magnificent flying creatures have nested, bred and foraged in the Lake Erie area for centuries. Millions of birds and bats migrate across the lake twice a year. As the “relatively small” project expands to 100, 500, 625 or 1,600 huge turbines in sensitive areas all over the lake, the impacts on birds and bats will grow exponentially. They will be attracted to the offshore turbines by fish and insect prey. In fact, studies have found that bats are attracted to turbines as far as 9 miles offshore, and numerous bird species spend extensive time offshore. Focused on feeding and other activities, they will not realize that the enormous blades are moving at 180 mph at their tips, and so will be knocked from the sky, dead or severely injured. Their bodies and body parts will sink from sight or be eaten by scavengers. * actually having workers remove bird and bat carcasses before official inventory teams are allowed to enter the areas to count whatever minimal remains might still be left to tally. That means the “official” counts are a tiny fraction of the actual death toll. It means the accounting is inaccurate at best, and willfully dishonest at worst. 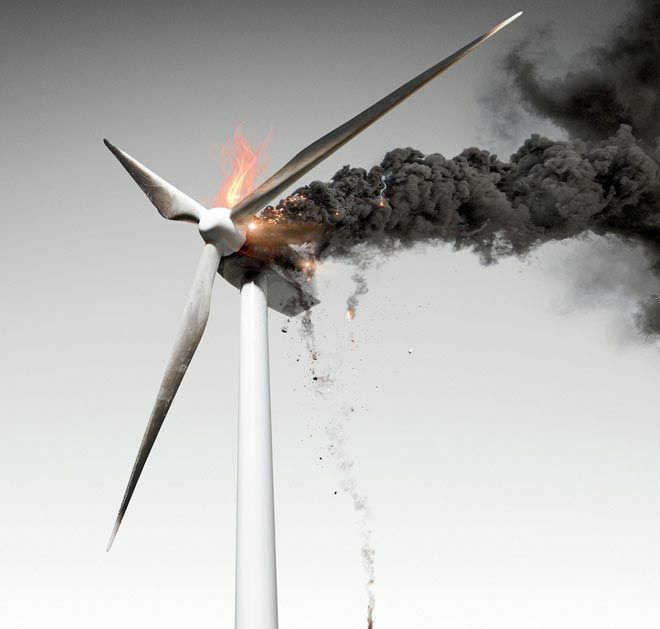 It means wind energy proponents can continue to make false claims that wind turbines are an “environment-friendly” alterative to “polluting” coal and gas-fired generators, whose actual emissions today are primarily plant-fertilizing carbon dioxide. It means the wind industry can avoid both public relations problems and the legal, regulatory and economic consequences of maiming and exterminating protected wildlife. No other industry has ever been or would ever be allowed to operate under such regulatory blindness not only to kill countless birds and bats, but to manipulate search methods and data to make it appear that the associated ecological impacts are far less than they actually are. Any proposed oil, gas, coal or nuclear power generation project, timber cutting activity, manufacturing facility or other enterprise would be scrutinized under powerful searchlights – and vetoed for causing a tiny fraction of the wildlife impacts that the steady expansion of enormous wind turbines will have on Lake Erie ecosystems. Moreover, as the six demonstration turbines associated with Icebreaker increase to 625 or even 1,600 turbines, to reach wind developers’ “vision” of 5,000 megawatts by 2025 or 2031 in Lake Erie, those turbines will encroach on and severely impact the habitats and wildlife around the West Sister, Rattlesnake, Bass, Kelly and other Islands off Lucas and Ontario Counties, Ohio. The wildlife slaughter will reach intolerable and unsustainable levels. The Massachusetts Audubon Society had estimated that even a relatively small wind project off Cape Cod would kill about 6,000 marine birds each year, some of them on the endangered list. Audubon finally agreed to support the plan after the promoter agreed to pay millions for monitoring the marine birds’ interactions with Cape Wind Project turbines. But many have questioned whether this is this sound science – or science and approval associated with a mutually lucrative corporate-Audubon arrangement. When it comes to wind power, climate change and renewable energy agendas clearly drive the science and regulations, rather than being guided and determined by honest science and evenly applied rules. While weather, wave and current conditions in Lake Erie will rarely be as severe as in ocean areas, and the corrosive effects of salt water will be far lower, wind turbine operators will still have to deal with major winter ice and mechanical problems and breakdowns. Modem 8-megawatt turbines are 200 meters (656 feet) above the waves. Their blades weigh 35 tons apiece, and the nacelles are some 390 tons each. Installing, maintaining, disassembling and replacing these components must be done using large jack-up platforms, which is tricky and extremely expensive even in calm waters, and downright dangerous when winds and waves start kicking up. Many accidents have been reported, some fatal. 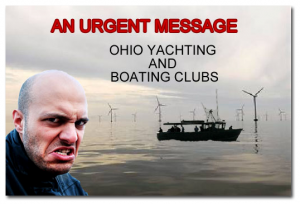 Furthermore, as the number of wind turbines increases in Lake Erie – the threat to commercial shipping traffic, fishing boats, pleasure craft and aircraft will increase significantly, especially during inclement weather. The danger of boats colliding with monopods will reach dangerous levels during fog and storms, and the likelihood of aircraft hitting turbine towers or blades will soar in those weather systems and at night. Again, six demonstration turbines is one thing; 625 to 1,600 is a totally different kettle of fish. The blanket exemption from wildlife and endangered species laws is based on questionable assertions that wind turbines reduce atmospheric carbon dioxide levels that allegedly cause global warming, climate change, extreme weather events and an amazing number of dog, people, Italian pasta, prostitution and other exaggerated or imaginary problems – along with other supposed risks that exist only in computer models whose forecasts and scenarios bear no resemblance to Real World conditions or events. Our planet’s climate has changed regularly throughout earth and human history, in response to powerful, interconnected natural forces that humans cannot control. There is no evidence in the climate or weather record that government will ever be able to control climate and weather by limiting the amount of plant fertilizing carbon dioxide that humans emit into the atmosphere. Indeed, contrary to claims about carbon dioxide being a “dangerous pollutant,” more CO2 in Earth’s atmosphere will continue to improve crop, forest and grassland growth, even during prolonged droughts and cold periods. This is already occurring, as demonstrated by the increased “greening” of the Sahel and many other regions, improved forest and crop growth across our planet, and other phenomena recorded by the Center for the Study of Carbon Dioxide and Global Change and many other researchers, and summarized in Paul Driessen’s book Miracle Molecule: Carbon dioxide, gas of life. Hurricanes and tornadoes, storms, droughts, polar ice and sea levels are all within the realm of historic experience. There is nothing “manmade” or “unprecedented” about them, nor is there any evidence that CO2 is “acidifying” oceans that are and will remain firmly alkaline. There is certainly nothing to justify shutting down our carbon-based energy system, dramatically increasing energy costs, radically transforming our economy, destroying millions of jobs, and impairing human health and welfare. In fact, contrary to multiple computer model predictions, average global temperatures have risen by barely a couple hundredths of a degree over the past 19 years. Climate models consistently misrepresent past temperature and climate trends and predict much greater warming than Earth has actually experienced. That makes the models, and the assumptions behind them, invalid. Meanwhile, it has now been eleven years since a category 3-5 hurricane last made landfall in the United States. (Hurricane Wilma in 2005; Sandy hit as a Category 2.) That’s a record hurricane hiatus, with the longest previous period with no landfalling Category 3-5 storm being nine years, 1860-1869. Seas are rising at barely seven inches a century. Droughts and “extreme weather events” are less frequent, severe and long-lasting than during the twentieth century. Polar ice is again freezing at or above historical rates in the Arctic and Greenland, and at a record pace in Antarctica. Polar bear numbers are at record highs, having risen from 5,000 worldwide 65 years ago to more than 25,000 today. And yet Americans are told we must subsidize and install tens of thousands of new wind turbines – which produce relatively little power, for the land and raw materials required to build them and transmit their electricity – at enormous expense for families, businesses, hospitals, factories and other energy consumers, because their electricity costs far more that what is generated by coal or natural gas. In Europe the exorbitant price of wind and solar electricity is already forcing entire industries to close down, including aluminum, ceramics and steel – with minimal reductions in Europe’s carbon dioxide emissions … and none worldwide, since the shuttered industries and jobs simply move to other countries where emission controls and electricity generation efficiencies are much lower, or nonexistent. Those rising electricity rates will affect everything Americans make, grow, ship, eat and do -just as they have in Europe. They will impair people’s livelihoods, living standards and life spans. Poor, minority and working class families will have to find hundreds of extra dollars per year to pay these rising energy bills, even as more Americans end up living below the official poverty line and median family incomes continue to decline, as they have by more than $3,000 per year since 2008. Small businesses will have to find thousands of dollars every year, just to keep the heat and lights on, without laying more workers off. Factories, malls, school districts, hospitals and cities will have to pay millions more, while trying to pay pensions and other rising costs. Those impacts are unsustainable. They cannot possibly be absorbed by the Ohio or U.S. economy. To cite just one example, the August 20, 2015 LEEDCo “update” says the wind industry’s “target cost is 10 cents per kilowatt-hour. However, Ohio families and businesses were already paying 9.9 cents per kWh in delivered costs for all combined consumer sectors in July 2016 (EIA Electric Power Monthly report), for power generated by far lower cost coal, gas and nuclear power plants. Ten cents per kWh is thus an absurdly low, pie-in-the-sky figure, designed to influence public opinion and decision makers. A far more likely price tag for electricity from these Lake Erie wind turbines is the 14.5 cents per kWh cited by LEEDCo, based on a “recent electric bill from AEP” – or even the 16 to 17 cents that families and businesses already pay in New York and Connecticut, respectively. Let’s apply that to one sector. The average U.S. hospital uses 31 kilowatt-hours of electricity per square foot per year. For a facility like Ohio State University’s 1.1-million-square-foot James Cancer Center and Solove Research Institute in Columbus, that translates into $3,376,000 per year at 9.9 cents per kWh – versus $4,945,000 per year at 14.5 cents/kWh, and $5,797,000 annually at 17 cents/kWh. That is a $1.6 million to $2.4 million difference – a massive budgetary shortfall. The only ways it can be made up is by laying off staff, reducing patient care, increasing patient costs, and/or raising taxes. Applied across the board, to every hospital, school district, small business, internet service provider, factory, family and other electricity user in Ohio, the results would be devastating. Poor, minority and blue collar families would be hardest hit, as they already pay a much larger, disproportionate share of their incomes for heating, air conditioning, lighting, refrigeration and other electricity needs. That is manifestly unfair. It is the epitome of environmental injustice. Reducing access to affordable, reliable electricity will further exacerbate our nation’s untenable unemployment and welfare situation. More than 94 million Americans are not working, and the labor force participation rate is the lowest in 38 years, with barely 62% of the U.S. population either holding a job or actively seeking one. Nearly 8.5 million Americans do not have jobs, some 40% have given up even looking, and more than 6 million are involuntarily working one or more jobs part-time – at lower wages and with fewer or no benefits – because they cannot find full-time positions. Millions of families are living on the edge. More than 120,000 primary and secondary jobs have been lost in America’s coal-producing states since 2008, the majority of them because of onerous regulations. Dozens of coal mining companies have filed for bankruptcy, and the market value of the remaining companies has plummeted. Anger, frustration and despair in poor, minority and blue-collar communities are understandably rising. Increasing electricity costs is a major factor in all of this, and major forced transitions to wind-based electricity will only make the situation worse. Put bluntly, this wind power plan attempts to protect people from conjectural, exaggerated and illusory climate risks years or decades from now, by increasing the economic problems, anxiety, and health and welfare woes they already face today. That is intolerable. As Secretary of State John Kerry admitted in last fall in Paris: even if all the industrialized nations’ CO2 emissions were reduced to zero, at great cost and sacrifice, “it wouldn’t be enough” to prevent alleged climate disasters, especially when more than 65% of the world’s “carbon pollution” now comes from the developing world. Moreover, any human control over weather and climate assumes carbon dioxide has replaced the powerful natural forces that have always controlled climate and weather. It has not. Carbon-based energy still provides 80% of U.S. and 81% of world energy. It supports $70 trillion per year in world GDP. Fossil fuels will supply 75-80% of global energy for decades to come. Energy Information Administration, International Energy Agency and other studies forecast. Carbon-based energy is essential if we are to bring electricity to the 1.3 billion people who still do not have it, and end the rampant poverty and lung, intestinal and other diseases that kill millions of people ui poor countries every year, because families are forced to bum wood and animal dung for heating and cooking – and because they do not have refrigeration to preserve their food and purify their water. That is why thousands of coal-fired power plants are being built, under construction or in planning around the world. Developing countries are determined to lift their people out of poverty, disease and death – and will no longer tolerate being told they must refrain from using fossil fuels, because rich, already developed nations are now worried about climate change (after having used fossil fuels to resolve the disease, nutrition and other problems that threatened humanity for many millennia). China now gets 75% of its electricity from coal. Its coal consumption declined slightly in 2014, as it turned slightly to natural gas, wind and solar, to reduce serious air quality problems. However, it plans to build 363 new coal-fired power plants, with many plants eventually outfitted or retrofitted with scrubbers and other equipment to reduce emissions of real, health-impairing pollution. Meanwhile, Chinese banks and construction companies are financing and building hundreds of new coalfired generating units in Indonesia, Pakistan, Turkey, Africa, Latin America and beyond – including nearly two dozen in the Balkan countries. India will focus on “energy efficiency” and reduce its CO2 “emission intensity” (per unit of growth), but not its overall emissions. It will also boost its reliance on wind and solar power for remote areas that will not be connected to the subcontinent’s growing electrical grid anytime soon. However, it plans to open a new coal mine every month and double its coal production and use by 2020. India has also become “the center of the world’s oil demand growth,” says Citigroup. Its economy will likely expand by 8% per year through 2021, its domestic coal production even faster. Indeed, its coal demand for factories and electricity generation is rising so rapidly that India is financing a major coal mining operation in Mozambique, so that it can import that coal to the subcontinent. Neither China nor India will even consider reducing GHG emissions until 2030, and even then it will be voluntary and dependent on how then economies are doing. Pakistan is taking a similar path – as are Vietnam, the Philippines and other Southeast Asian nations. Even Japan plans to build 41 new coal-fired units over the next decade, partly to replace its nuclear power plants. Overall, says the International Energy Agency, Southeast Asia’s energy demand will soar 80% by 2040, and fossil fuels will provide 80% of the region’s total energy mix by that date. Africa will pursue a similar route to lifting its people out of poverty. The continent has abundant oil, coal and natural gas – and it intends to bum those fuels, while utilizing wind and solar power in remote areas only until they can be connected to the continent’s slowly growing electrical grids. All this fossil fuel use means the costly, painful, job-killing energy impacts associated with building a thousand wind turbines in Lake Erie – and hundreds of thousand nationwide – will have no effect whatsoever on atmospheric carbon dioxide levels, which will continue to climb, further greening the planet and spurring faster crop, forest, grassland and ocean phytoplankton growth. Even if we assume once again that carbon dioxide has somehow replaced the powerful natural forces that have always driven Earth’s climate and weather, these wind turbines will do nothing to stabilize, prevent or roll back global warming, global cooling, other climate changes or extreme weather events. In fact, in 2014, with about 268,000 industrial wind turbines worldwide, those monster machines achieved only 0.2% (two-tenths of one percent), essentially zero, of the world’s electrical needs. This assertion may have had some merit a few years ago, when it could plausibly be claimed that the world was running out of fossil fuels. However, it is now clear that several centuries of economically recoverable coal remain to be tapped – and the horizontal drilling and hydraulic fracturing (fi-acking) process ensures that at least one or two centuries of oil and natural gas could be recovered from shale deposits around the world. “Imminent resource depletion” is no longer a plausible or valid argument. Wind turbine installations impact vast amounts of habitat and crop land, and offshore wind turbines impact vast stretches of lake or ocean – far more than traditional power plants. By contrast, the 600-MW Fowler Ridge wind installation (355 turbines) spans 50,000 acres of farm country along Indiana’s 1-65 corridor. The 782-MW Roscoe project in Texas (627 turbines) sprawls across 100,000 acres. Oregon’s Shepherds Flat project (338 gigantic 2.5 MW turbines) covers nearly 80,000 wildlife and scenic acres along the Columbia River Gorge, for a “rated capacity” of 845 MW. Wind installations require enormous quantities of steel, copper, rare earth metals, fiberglass, concrete and other materials for the turbines, towers and bases. A single 1.7 MW wind turbine, like the 315 Fowler Ridge units, involves some 365 tons of materials for the turbine assembly and tower, plus nearly 1100 tons of concrete and rebar for the foundation. Grand total for the entire Fowler wind installation: some 515,000 tons; for Roscoe, 752,000 tons; for Shepherds Flat, 575,000 tons. Offshore installations of the kind proposed for Lake Erie would likely require twice the materials needed for their onshore counterparts. To all that must be added millions of tons of materials for thousands of miles of new transmission lines and still more for mostly gas-fired generators to back up every megawatt of wind power and generate electricity the 17 to 20 hours of each average day that the wind does not blow. It is extremely energy-intensive to mine, quarry, drill, mill, refine, smelt and manufacture the metals, concrete, fiberglass, resins, turbines and heavy equipment to do all of the above. Transporting, installing and repairing turbines, towers, backups and transmission lines requires still more energy – real energy: abundant, reliable, affordable … not what comes from wind turbines. Environmentalists regularly make scary but wildly speculative claims about health dangers from hydraulic fracturing. However, they and wind energy companies and promoters ignore and dismiss a growing body of evidence that steady low frequency noise from wind turbines causes significant human health problems, interferes with whale and porpoise navigational and food-finding systems, and affects other wildlife species. Raptors, bats and other beautiful flying creatures continue to be shredded and diced by wind turbines. However, government regulators continue to turn a blind eye to the slaughter, and the actual toll is carefully hidden by wind operators, who treat the data as trade secrets and refuse to allow independent investigators to conduct proper studies of bird and bat mortality. Furthermore, wind turbines are increasingly being installed in sensitive wildlife habitat areas, like Lake Erie and onshore areas like Shepherds Flat, as they are often the best remaining areas for relatively abundant, consistent wind. The myth of “green renewable energy jobs” is hitting the brick wall of reality. While turbines installed and maintained in the USA and EU create some jobs, many of them short-term, the far more numerous mining and manufacturing jobs are in China, where they are hardly “green” or “healthy.” Moreover, as Spanish and Scottish analysts have documented, the expensive intermittent electricity generated by wind turbines kills 2.2 to 3.7 traditional jobs for every “eco-friendly” wind job created. Even huge subsidies cannot cure wind power’s biggest defects: its electricity costs far more than coal, gas or nuclear alternatives – and its intermittent nature wreaks havoc on power grids and consumers. The problem is worst on hot summer afternoons, when demand is highest and breezes are minimal. Unable to compete against cheap Chinese and Indian electricity and labor, energy-intensive industries increasingly face the prospect of sending operations and jobs overseas. Simply put, the danger is not climate change – which will always be with us. The real, immediate danger is renewable energy programs implemented in the name of controlling Earth’s perpetually fickle climate. The 5,000 megawatt wind energy system being discussed for Lake Erie – and even more so, the absurdly ambitious 4,000,000 megawatt wind energy “vision” for U.S. lake and ocean areas – will harm human health and welfare, job creation and preservation, wildlife and environmental quality, while doing nothing to reduce or prevent climate change: manmade, “dangerous” or otherwise. The Lake Erie and other plans for offshore wind energy facilities need to be abandoned.